Introducing the Elodie Earrings. Featuring a multi coloured stroke pattern in pastel colours. 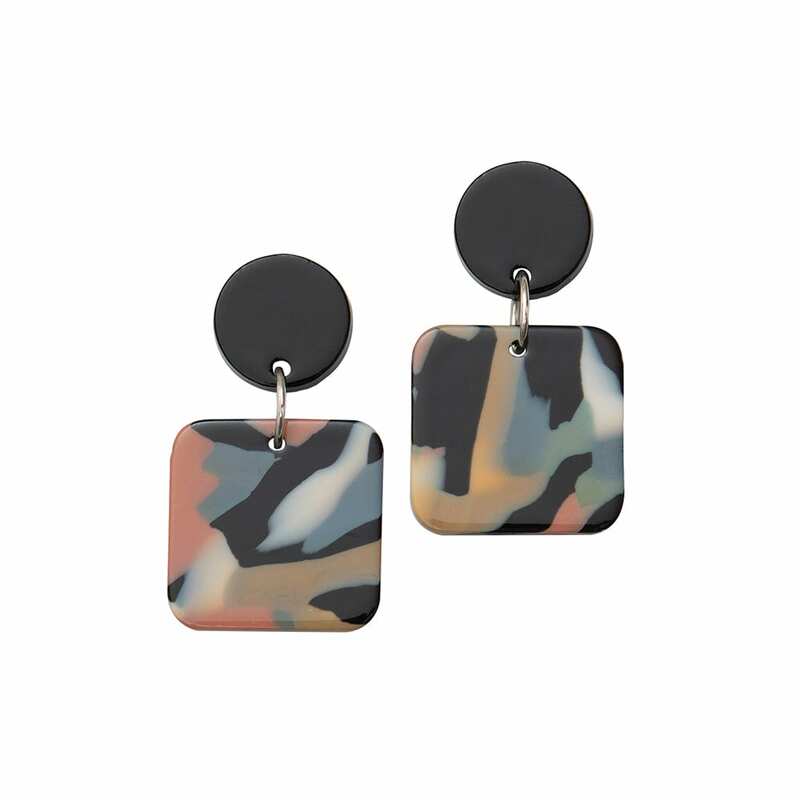 This square design is lightweight and hangs from a black acrylic stud.